Couldn’t have asked for a better Sunday! 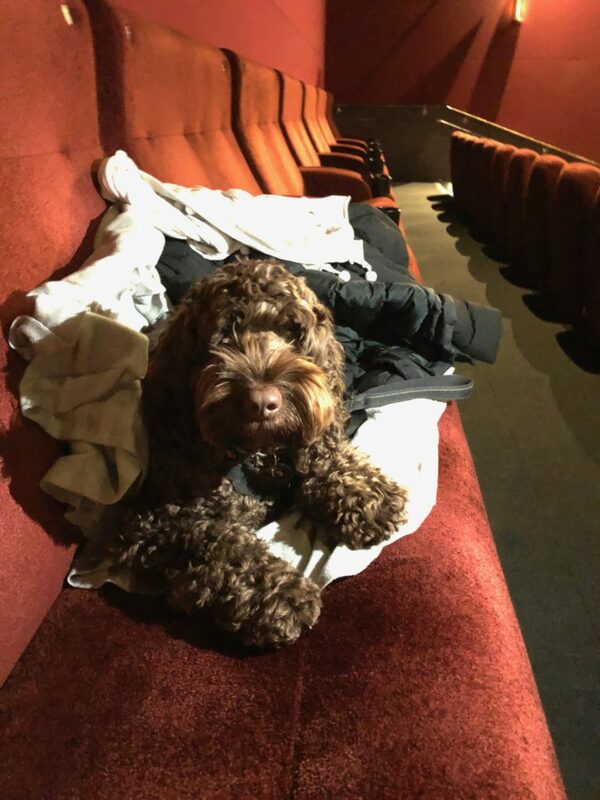 It was a dog-friendly showing at Picturehouse Central. 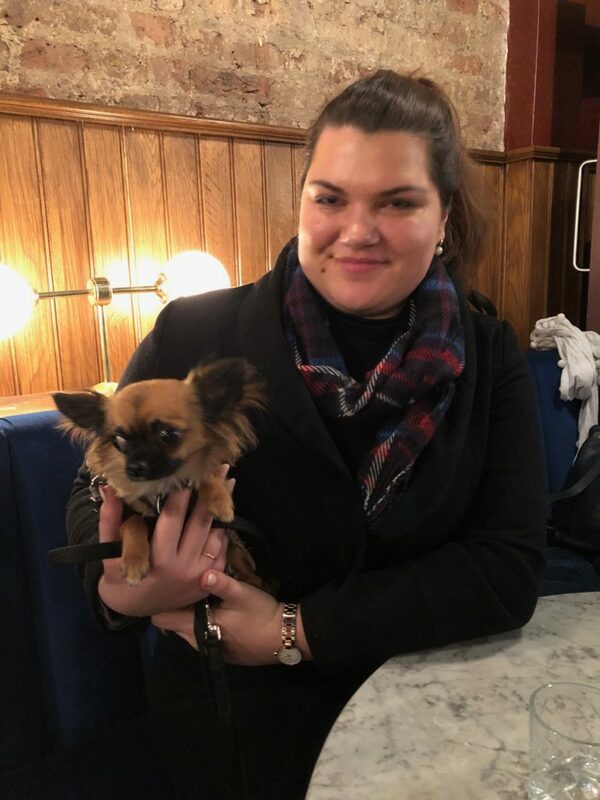 We arrived early to have a coffee with Sara and Lola. All too soon, it was time to get our seats. You want a photo of me with the popcorn? Well, this is the price to pay – enjoying Mum’s popcorn! 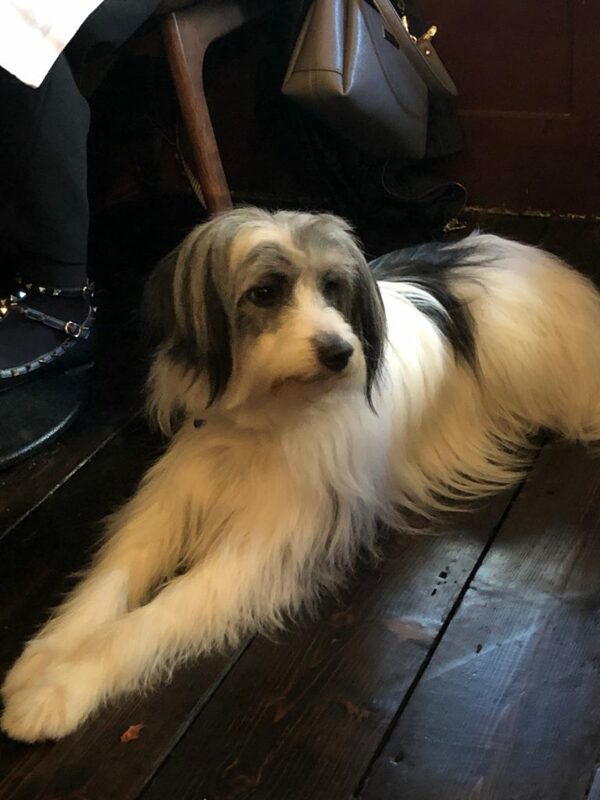 We all then went to have lunch at the ever so dog-friendly 40 Dean Street! Little Hattie – who left before we had a group photo. 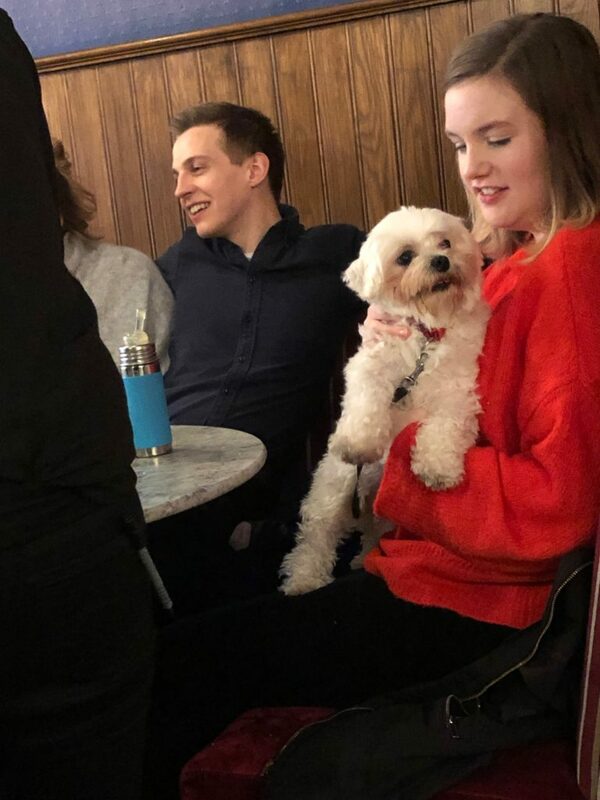 It was just a coincidence but at every table in the restaurant there was a dog. 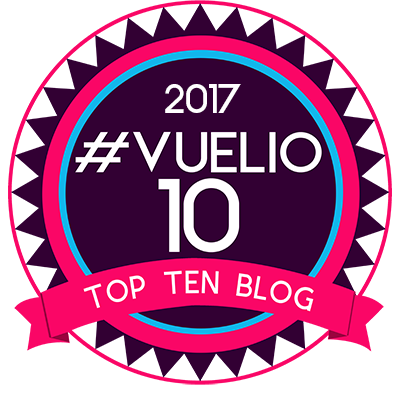 We had six! LOL! 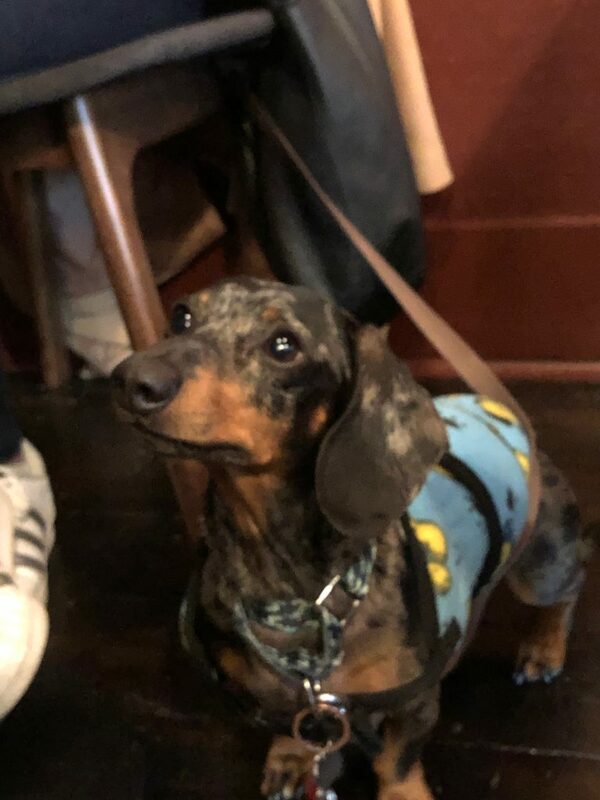 This little guy was at the next table! George was flirting with her. And this is Wine – a Westie-poo!!!! And she’s coming to our doodle meet next week!!!! Come and meet her, all ye doodles! Look at Argo – the world’s most friendly dog ever!!! 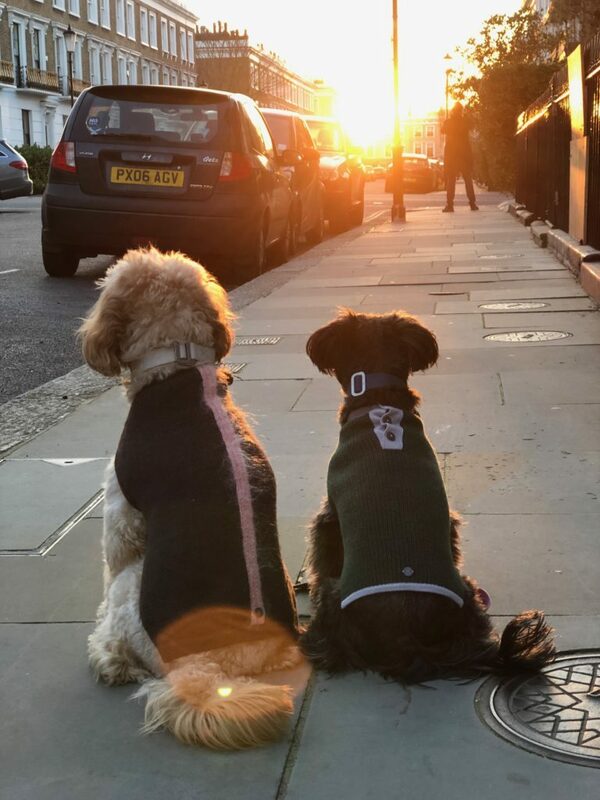 It was such a lovely day – the weather, the company, the movie, the most dog welcoming restaurant! 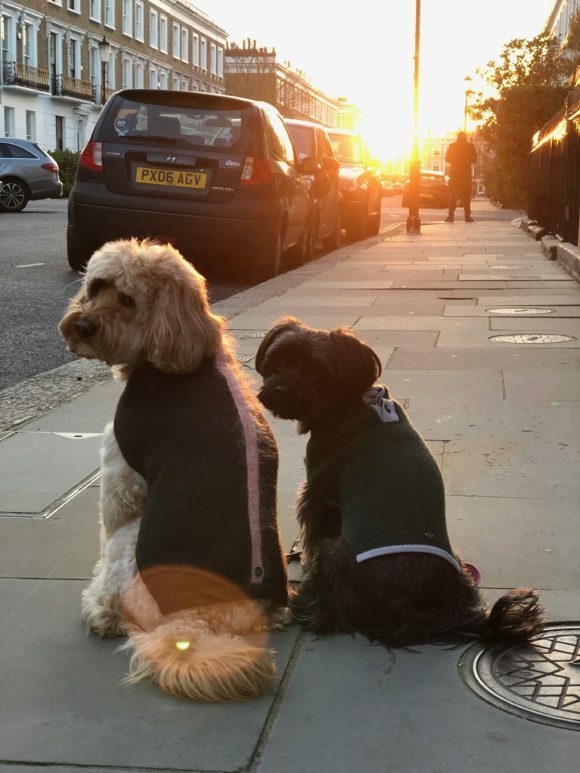 We caught a brilliant sunset. Mum, can we do this all over again? 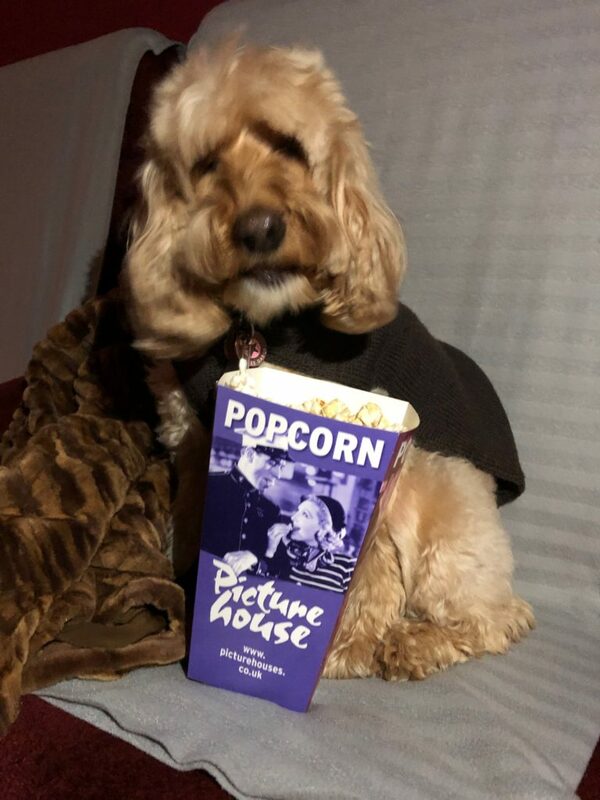 May’s comment: We love our Picturehouse Central dog-friendly showings. 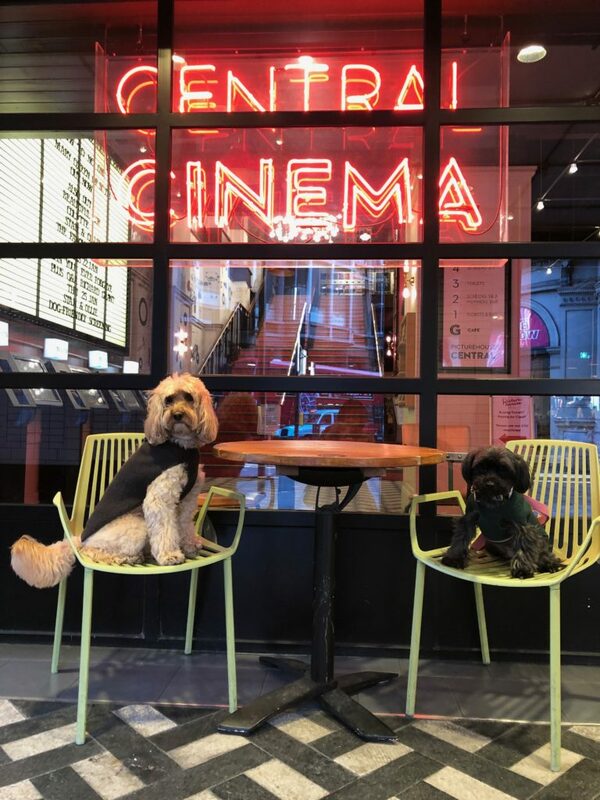 Unlike a lot of places that do dog movie events Picturehouse Central understands that the event is for humans who want to enjoy a good movie with their furry kids. 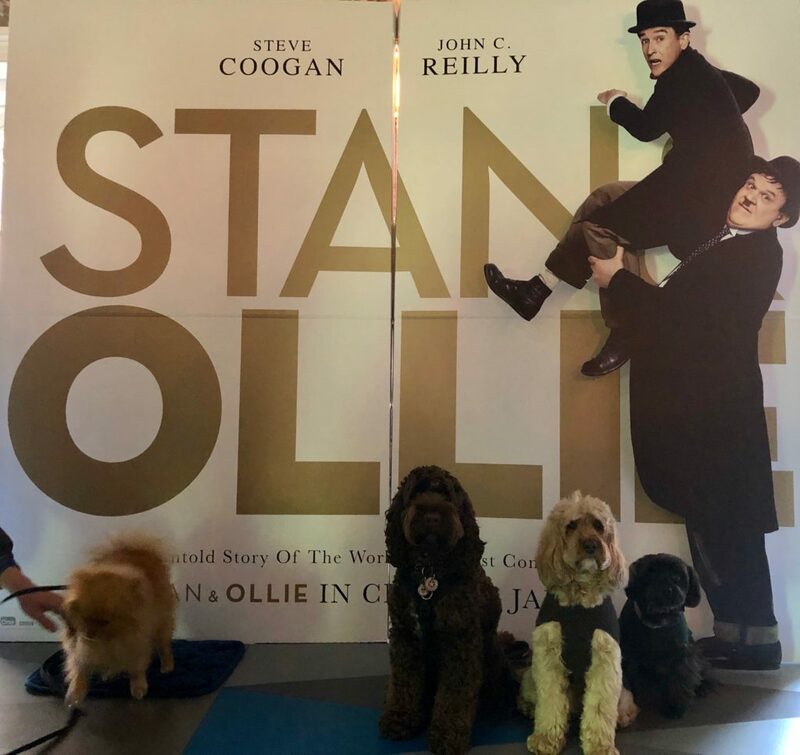 Today we saw the award-nominated “Stan & Ollie” – a movie tribute to two comic legends. 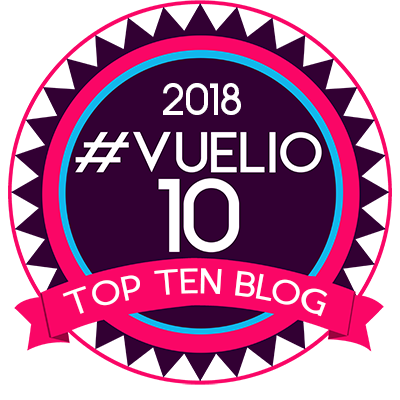 There were big laughs, touching moments that made us all shed a tear to two, about what’s really important when all fanfare’s gone – the loyalty of friendship. It was a big-hug movie which made us all feel good – well-casted and fabulous acting. 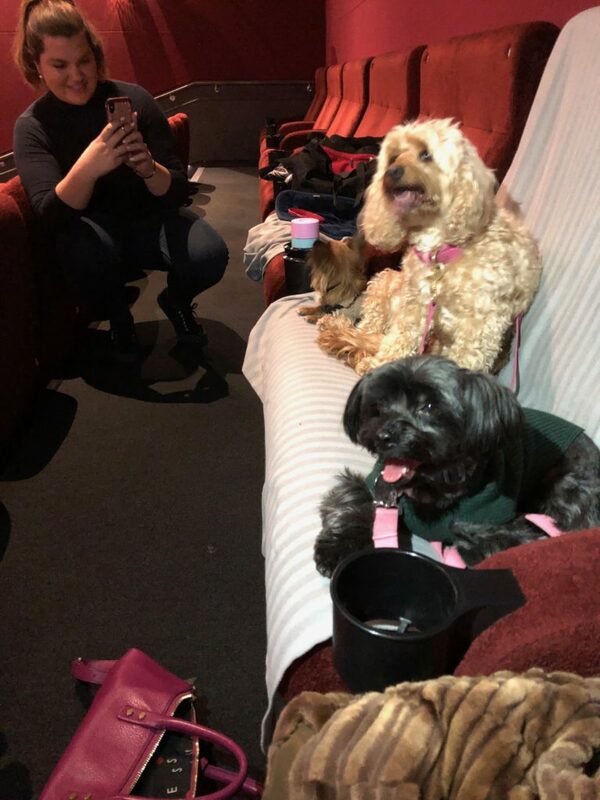 We walked away feeling we truly enjoyed a good film with our fur kids and our friends – not just another gimmicky doggy event. I remember my Granny used to love them and I never understood why. I saw a fat man and a skinny man who did silly things. Today, I understood it better. Ahhh, to be older and wiser. Maybe one day I will also understand why she loved The Three Stooges. Maybe she did have a sense of humour, dear Granny! 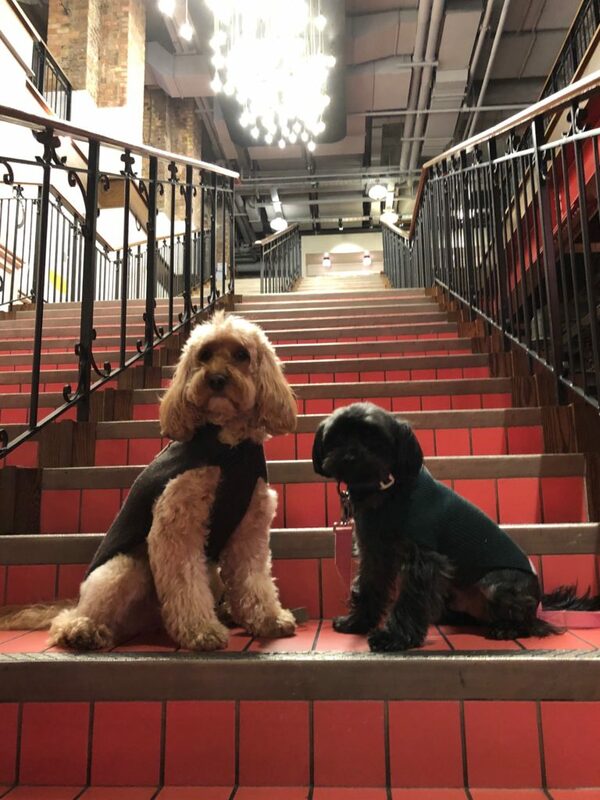 We all walked out of the cinema into the winter sunshine and walked a short way to 40 Dean Street – an Italian restaurant in Soho. 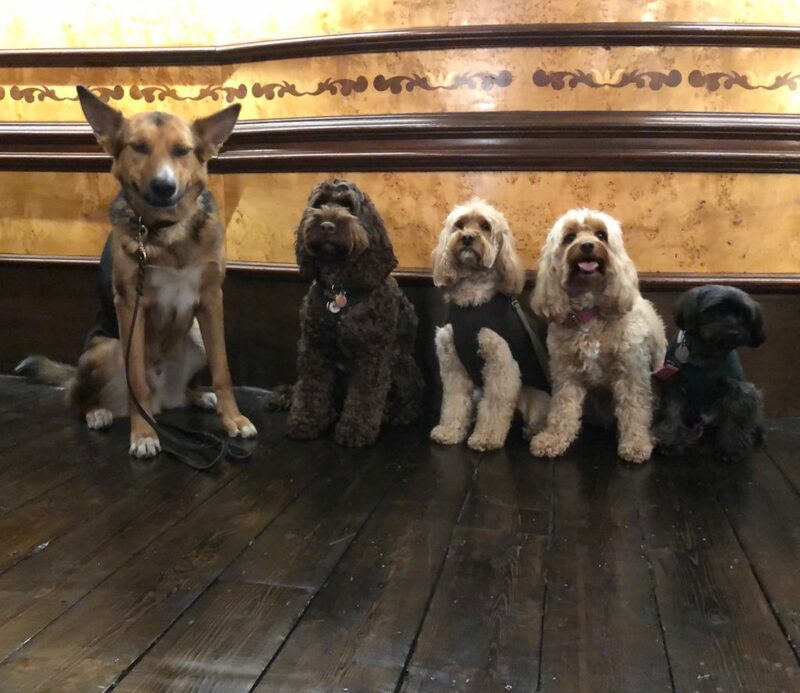 I had called to say we were five but did not mention we had six dogs amongst us. 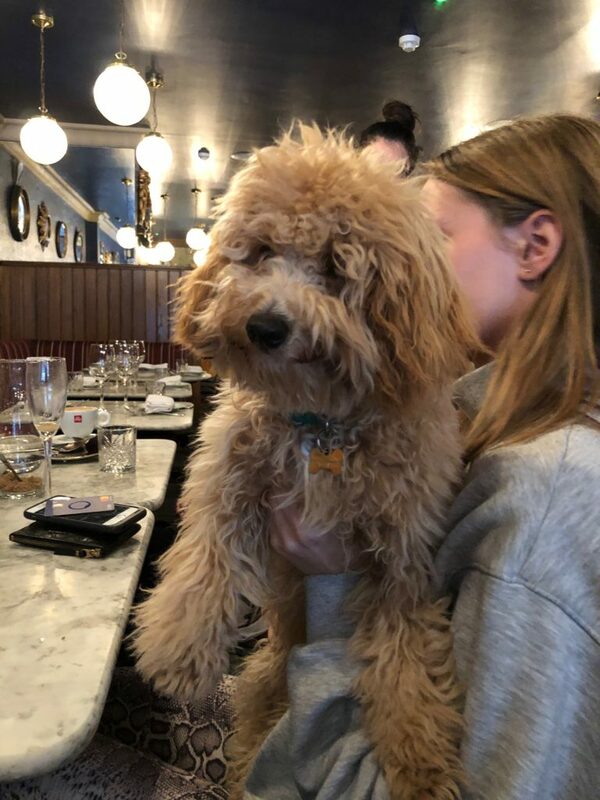 When we walked in – there were dogs at every table. 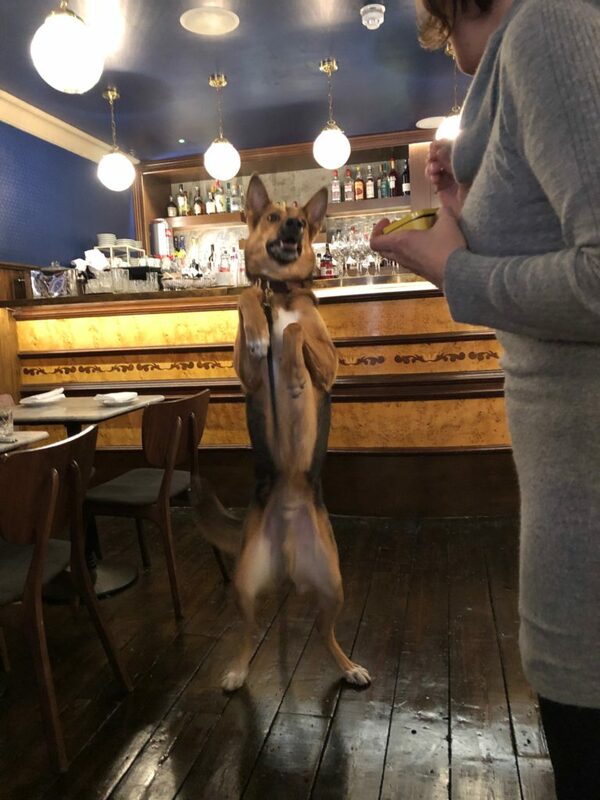 Italian restaurants tend to be dog-friendly but this was exceptional. The food was good basic Italian! Will definitely add this to our Wine & Dine list. Good movie, good food, fabulous weather. Lovely Sunday before the start of another week. It was such a good Sunday! Now we’re ready for Monday! ← Can you fix this alarm clock?